Experience this unique place and we're sure that you will discover a great way to share your passion with friends old and new. 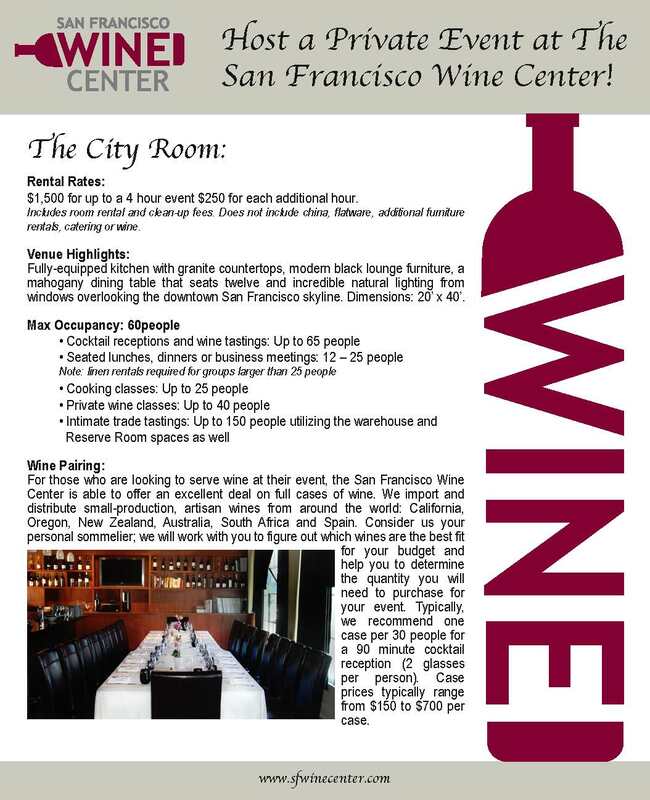 When we aren’t hosting classes or special events of our own, we rent out our events venue to private groups looking for a modern, intimate place to throw a party, host a cooking class or private wine class for your friends, or hold an off-site meeting in San Francisco. Our collectors are always invited to stop and use our events spaces to open a bottle with a few friends or they can reserve the spaces for larger parties for the cost of the cleaning bill.